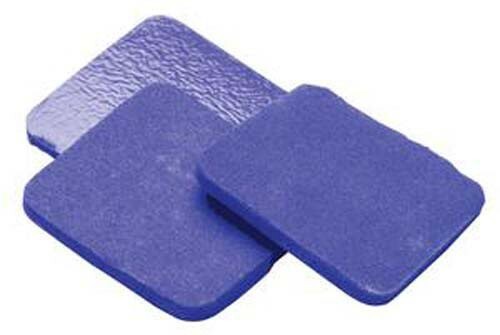 Hydrofera Blue Ready Foam Dressing, by Hollister is a specialized external dressing for wound care. It contains broad-spectrum antibacterial properties to protect wound and prevent infection. The dressing comes ready-to-use and is offered in three sizes designed for local management of acute, traumatic and chronic wounds such as: ulcers, burns, donor sites, post-surgical incisions, wounds, abrasions and lacerations. The dressing creates fast application and there's isn't a need to apply antibiotic ointment. The hydrophilic polyurethane foam contains ethylene oxide used as a bactericidal, fungicidal, and sporicidal disinfectant. This also aids in maintaining a moist wound environment necessary to fast healing. The hydrophilic polyurethane foam is known for its fast absorption rate; it will absorb water in less than 30 seconds. This absorption property is important in collecting exudates and bacteria from the injured area. These harmful fluid secretions bind to the dressing removing it from the wound without the foam sticking to the wound causing more harm. The dressing can be left in place up to seven days. 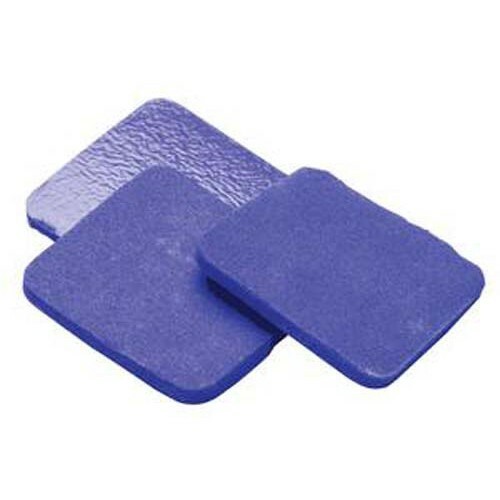 When applying the foam pad, apply shiny antibacterial side down towards wound with the waterproof side facing upward. The dressing comes without a tape boarder and needs to be secured with tape, bandage or compression wrap. Is the hydrofera blue ready antibactrial foam dressing a silver foam dressing? Can it be used over Santyl? This is not a silver dressing. We cannot accurately answer whether or not it can be used over Santyl; it's best to contact the manufacturer for specific information. The item can be adhered directly to the skin but only under certain conditions, as per the manufacturer. We have reached out to the manufacturer to gather more information and will update this page accordingly.